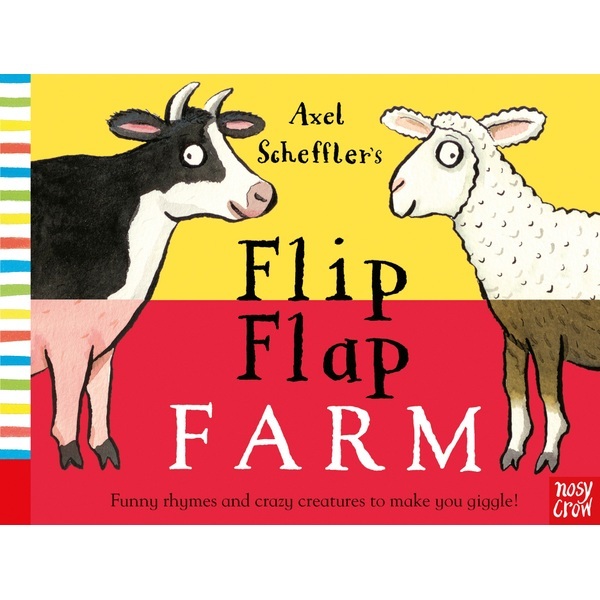 This Flip Flap Farm Book is from best-selling, award-winning illustrator of 'The Gruffalo' Axel Scheffler, this is an animal combinations book that cannot fail to make you laugh with lovable artwork and a funny, rhyming text. Flip the pages to see the crazy creatures, and find out their names and noises, there are over 100 combinations. What do you get if you cross a pig with a turkey? Why, that would be a purkey! And a sheep with a rabbit? That would be a shabbit, of course! A very silly but absolutely compelling book that will charm the whole family.